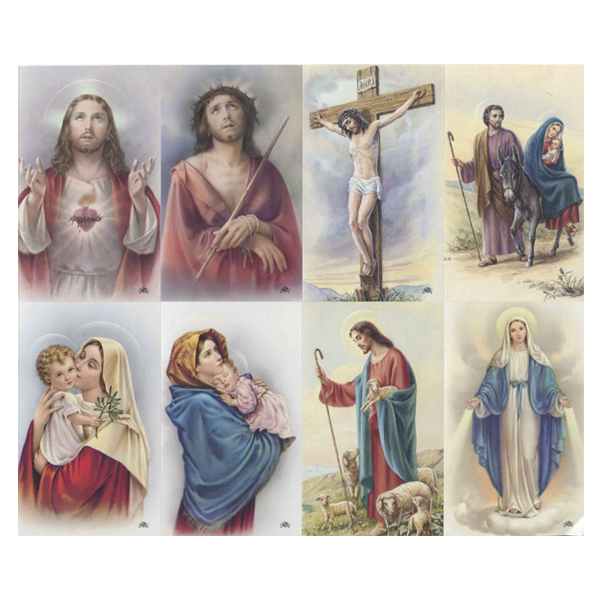 Choose your own text by selecting "Other". 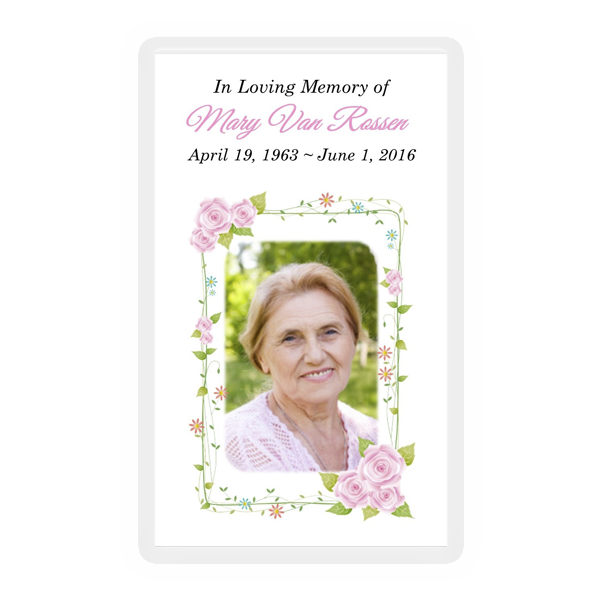 Please write their name as you would like it to appear on the card. 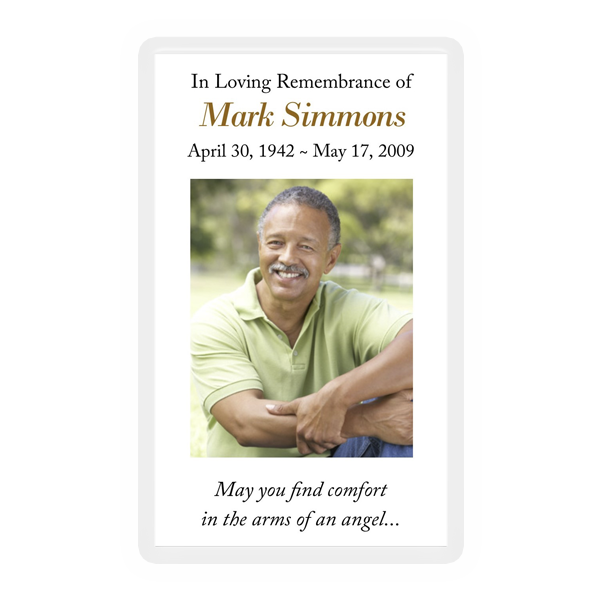 By when do you need the cards delivered? 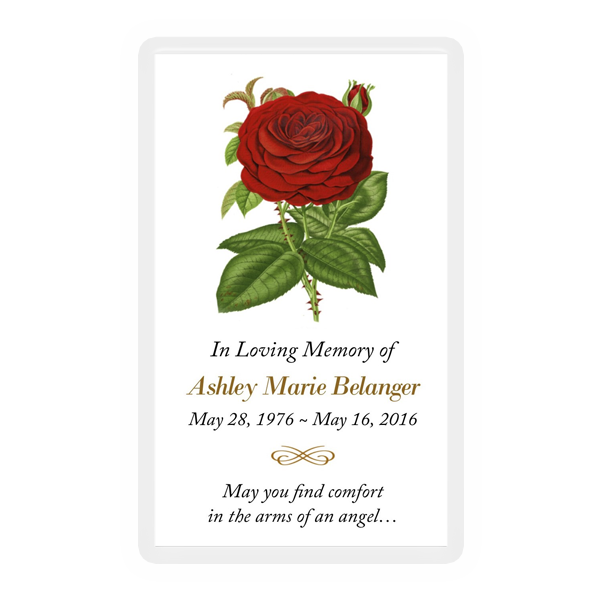 Receive a text message when your proof has been e-mailed to you. 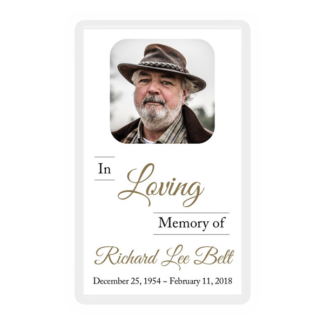 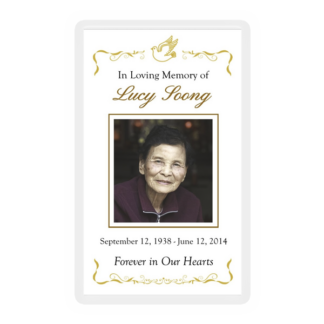 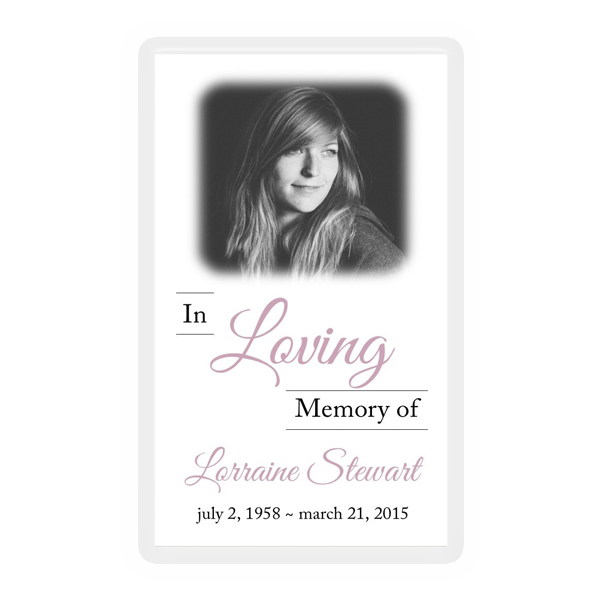 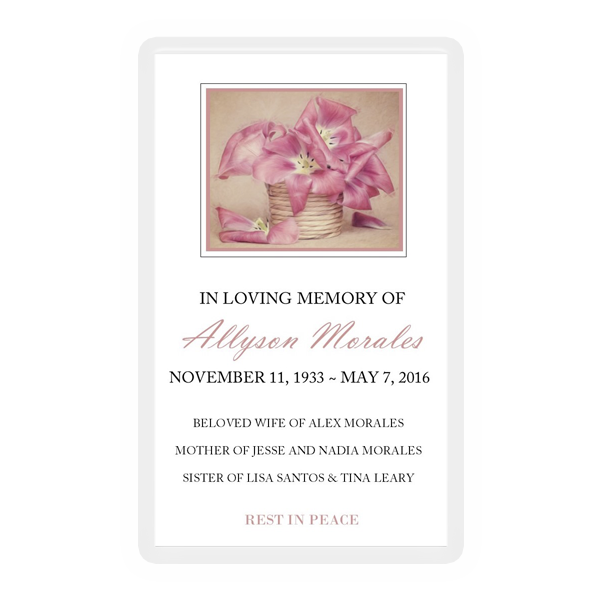 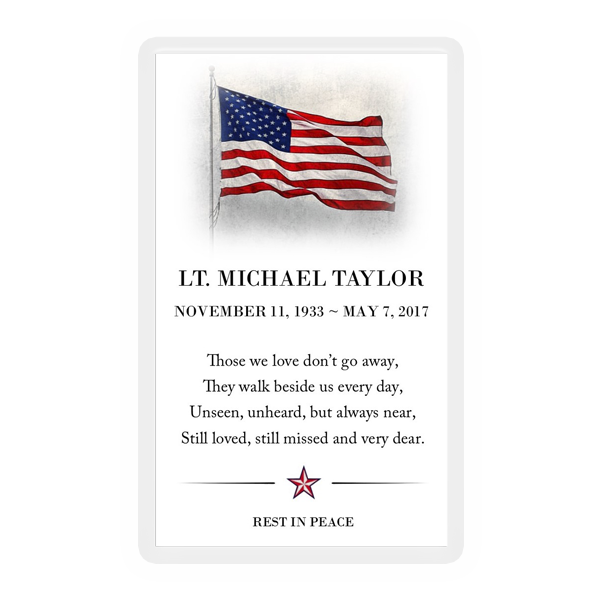 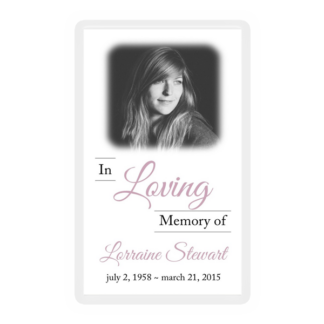 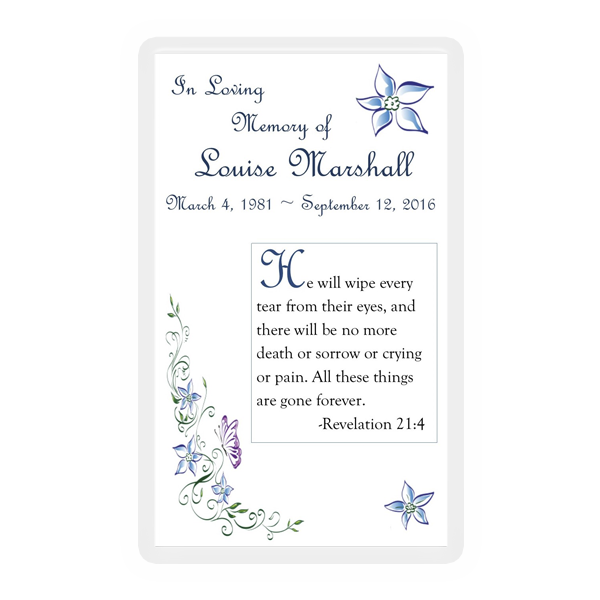 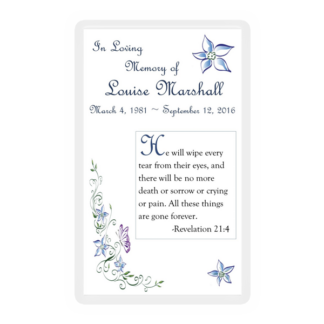 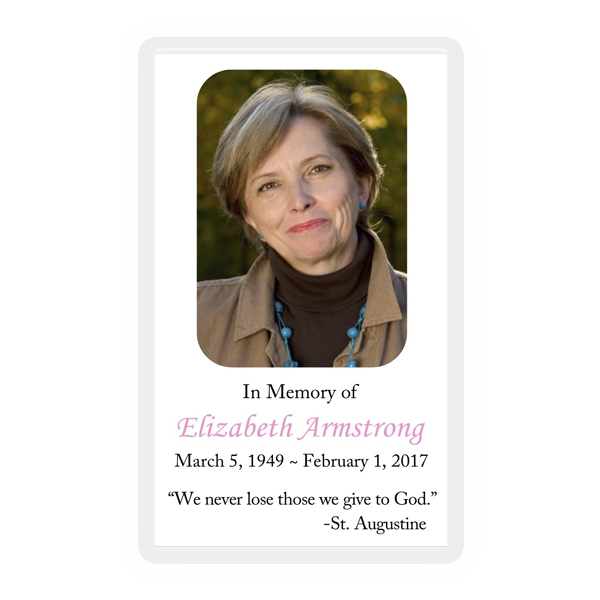 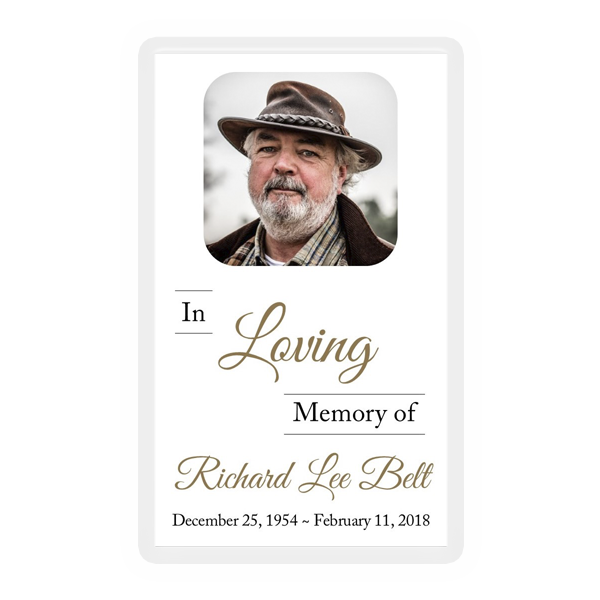 At Top Memorial we understand that every order is unique…which is why our memorial cards are easily customizable. 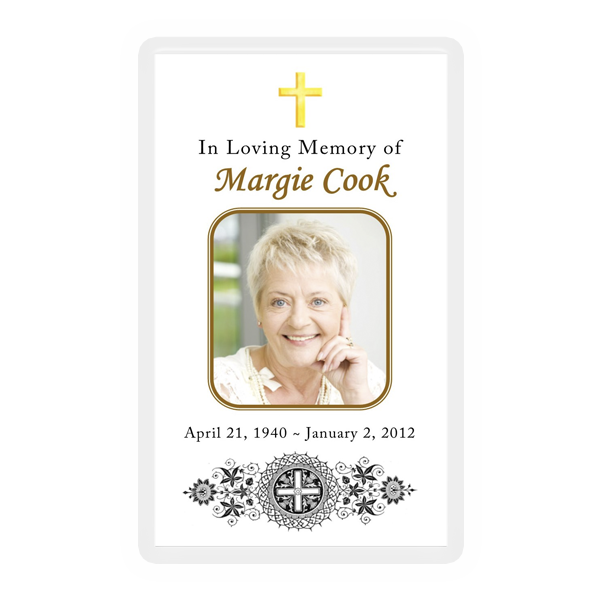 You can choose to add a photograph and dates. 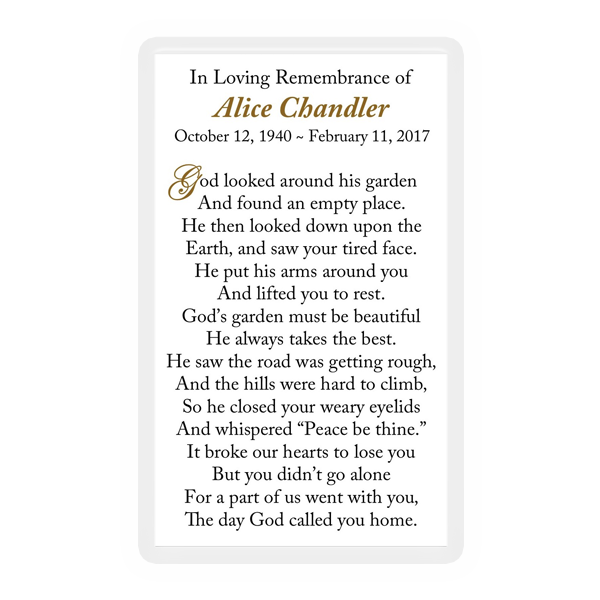 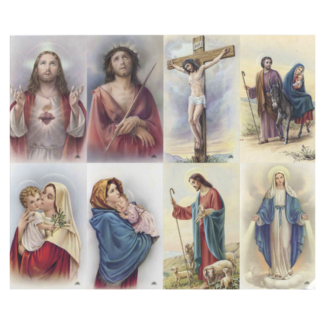 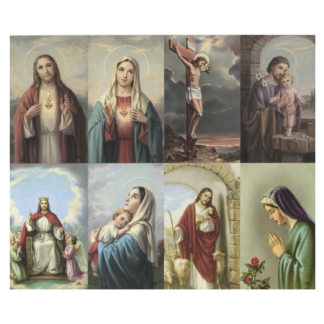 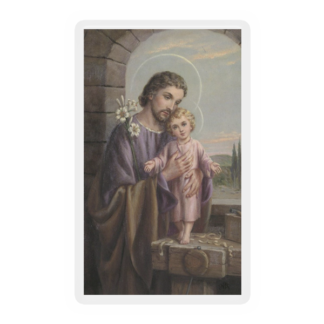 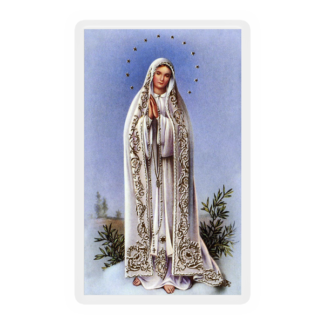 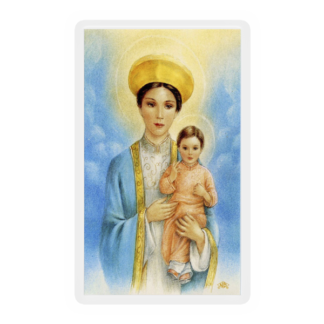 In addition, write your own text or pick from our selection of popular poems, verses, and prayers. 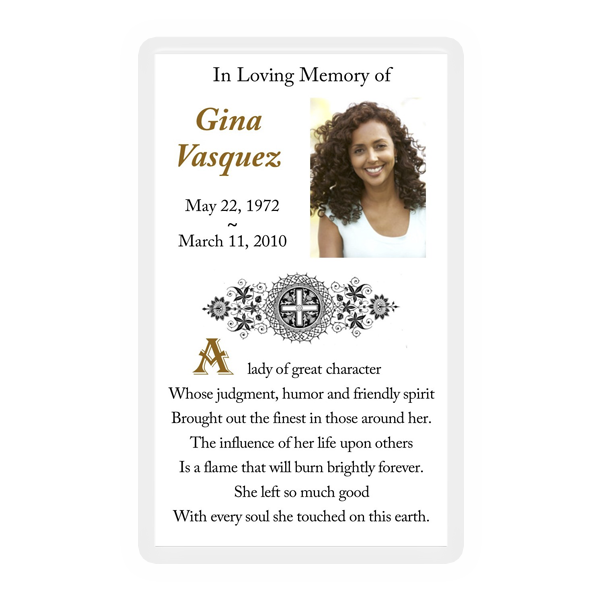 Of course, everything is customizable so you add as much or as little information as you would like.